Fluted rims and a creamy color give this collection the look of traditional French designs. A glossy finish adds sophistication. 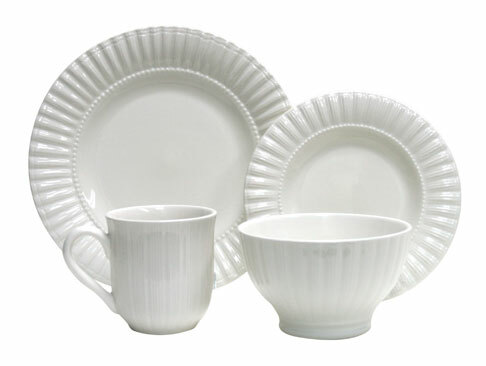 Maison White can be blended with a wide range of colors for a unique table setting or used alone for simple elegance.